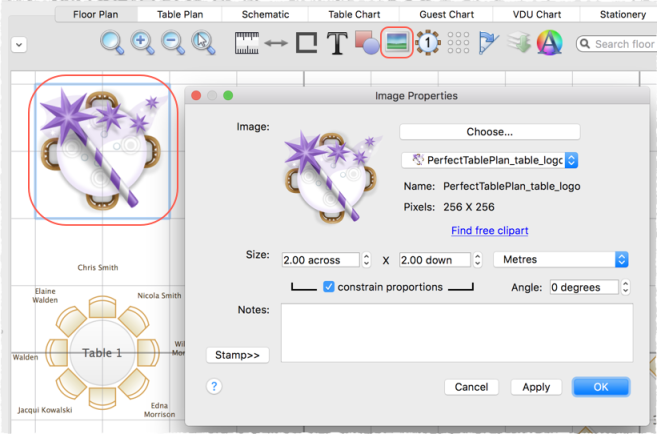 1.Drag the image from Mac Finder or a web browser onto the Floor plan pane. 2.Double-click on the image to change its size, rotation etc. 1.Click on the Insert Image button at the top of the Floor plan pane. The Insert Image window will appear. 3.Set the image Size on the floor plan. 5.Click on the image and drag it to the appropriate position.